Transparent barrel for ink visibility. 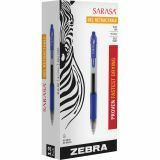 Zebra Sarasa Retractable Gel Pen, Bold 1mm, Blue Ink, Translucent Blue Barrel, Dozen - Sarasa Gel Retractable Pens feature Evolutionary Rapid Dry Ink Technology that dries in less than a second, eliminating messy smears and smudges. 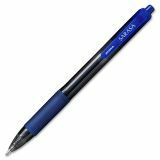 Ultra-smooth ink glide promotes a flowing yet crisp writing experience. Latex-free, nonslip comfort rubber grip provides writing comfort and control. 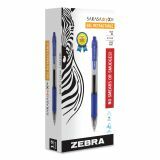 Smooth gel ink delivers scratch-free writing. 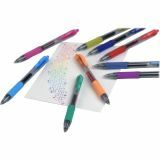 Translucent barrel provides visible ink color and supply. Ink is acid-free and archival quality. 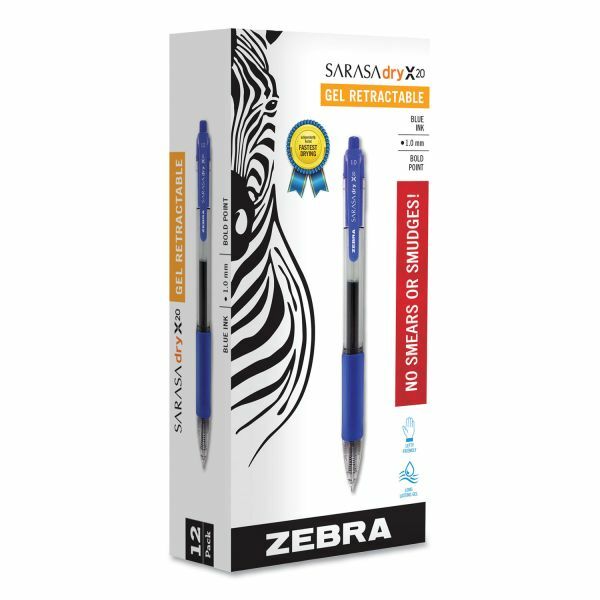 Pens are refillable with Zebra's JF-Refill.